Horncastle Holyday: You Googled Horncastle+~* , Sir? You Googled Horncastle+~* , Sir? The Top search for Horncastle is for the local newspaper for the area - The Horncastle News, whose offices are on the SW side of town, Wharf Rd, near the library. The next is just for the Town name, and Wikipedia seems the most generic and informative, without being selective of a further search term. 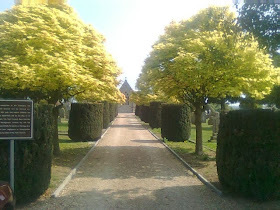 The third most popular search is for the Cemetery! Although an agency site gives the phone number, it would probably be just as well to turn up, a mile south of the town on the Boston Rd., in daylight hours. The fourth most Googled suggestion is for a Glass Studio on the Industrial Estate, who also has a well developed Ebay presence. The Town History comes in fifth, and the Horncastle Civic Society is in a worthy first place, just ahead of the Kindle compatable 1908 book, which I link to in my post. The Civic Society being also the 6th most searched for town term. The seventh is 'Homes', which is a New Zealand term for what the Americans would call Real Estate, and looks like a hiccup of searching on Google.COM with my location hidden - Google.CO.UK probably won't show this Instant Suggestion to searchers from the United Kingdom. The Community Primary School is another surprise really, with not one of the pubs or restaurants featuring so far.....although that's made up for by the Golf & Country Club limping in at 9th place. Other top 'Related' searches give the Queen Elizabeth Grammar School searched for frequently. This shows that the town is still a focal point of action in Lincolnshire, with people readily drawn here despite Cities and larger Towns being all around. The Library is one of those searches that brings up a government site - no telling which one of the .pdf's or plethorer of links to similar pages will give a phone number. The one's given on the web aren't the 01507 601111 given elsewhere. .....the council also struggle to minimise and optimise for the next search, so my vote goes to the commercial gym in the Swimming Pool building. The College and Conference Center is the trifector of gov links, this one a little better than usual. The Horncastle Medical Group are well searched for, despite the free info leaflets available during a visit. Their driveway off East St/Spilsby Rd looking deceptively scenic in snow and ice. The Weather, unsurprisingly, in amongst the most searched, and I again link back to my own post, hi-liting that snow at Lincoln can mean mist clearing here, and bright sunshine at Skeggy. 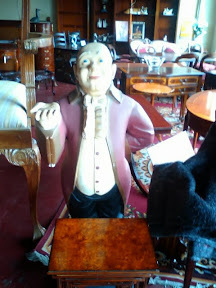 After Antiques and Accomodation, which are well covered here in posts and the links section, the local Bell's Auctions are reasonably patronised, the Collectables probably having the most general interest. Bed & Breakfast is again covered by the accomodation section in the Links. For a yearly August Bank Holiday event, the Beer Festival must have recieved alot of interest to still be near the top of suggestions months later. In a similar vein, the Bike Nights are much sought after, with the Black Swan on Boston Rd being a local venue. With many of the C's already mentioned (college, cemetary, civic etc), it leaves Cake Art, which is in the Other Shops photo album, nestled with the Hobby House on North St. The Children's Center at the Banovallum School has some interesting activities for mums and toddlers. People are searching for the Christmas Market, but no news shown of a date for this years! - Sun 9th Dec. The Horncastle Canal is still being researched by people - Joseph Banks recognising the galvanising effect it would have on the Bain Valley and the town. A reasonably well attended Google Places link for Doctors & Dentists perhaps shows them best. I like to pride myself on getting around the net, but I didn't realise 'Do' was such a powerful little verb, as in to Do, the Explore Lincolnshire site perhaps giving a broad taste - more in the links section. Driving Lessons are probably catered for by a few in the area, but web wise it pays to have a website and Google place filled in. Nothing under E springs to attention, with Evening Classes being rather transient and best found at the Grammar School and College, whilst the Estate Agent search brings up closed businesses and all manner of other things. There are only 2 or 3 in the town, and they advertise well in the newspaper. Football is mentioned in the attractions post; Family Planning is best from a doctor; Floods I have a post about; Fishing is well covered and does deserve a Search if animal cruelty is your 'sport' - Fish & Chips from South St have a website, and I mention the market chippy in the restaurant post. Horncastle Festivals has mention of the Christmas Market. Horncastle Glass, Golf and Grammar have just been mentioned above, with one of the Gyms - the other mentioned in the resort comparison post. The main Garden Centre, Crowders, is in the links, and the Botts cafe there is in the Cafe & Tearooms post. The Guitar shop is in with the Other shops and Antique albums. History has been mentioned above, whilst the Hockey club gets mentioned in the links section. Health does bring up the NHS clinic on Manor House st., but I think it needs a referal from a doctor for patient visits. Hotels are covered in accomodation in the links, whilst the Hobby House on North st is in the Other Shops album. For Holiday, it suggests this site, and the accomodation again. Searching for Horse Fair brings up Alan Saxman's wonderful collection of historic content. Articles from HorncastleDiscovered and HorncastleUK are ok, but one site is no longer updated, whilst the other is Copy & Paste and possibly plagiarised on a generic site. The Industrial Estate is a mile down the Boston Rd, although there are significant companies all over the town area. Indian Restaurants get a mention in my Food post, although reviews can be seen on Google Places. Information on the town I have, whilst out of date info plagues other attempts. Indoor Bowls is in the clubs and societies in the links. Jobs can't really be searched on Google - by the time they're spidered, processed and ranked, they'll have been filled. Job websites are a different story, but all are independent and not situated in the town, nor is the Jobcentre, which requires a 30 or 40+ mile round trip and 1/10th of your income support or JSA (the minimum amount you can survive on). The Judo Club meets at the Town Hall, and is in the links. The two Jewellers on the High St have their Google Place pages filled in ok, as has Jacksons Builders in the old station yard. The Joseph Banks centre I mention in the Attractions post, whilst Joules is a clothing brand found on the 1st Choice clothing shop website (Other shops or Kids album). The Horncastle Kebab House was apparently famous in it's day - but alas is no more, although the two Pizza take-aways round the market still supply the sophisticated delicacy. Kingdom Hall is a searched for term, and there are two or three none-mainstream quasi American churches up the backstreets, although I prefer my Gideons Bible post and links to the ancient original Holy Land sects in the cradle of civilisation. 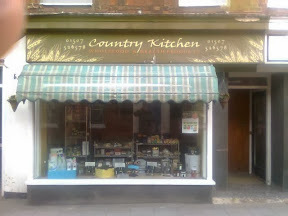 'Kitchen' should lead again to my Other shops album, with the showroom yon side the library, or the Country Kitchen Health Food store on North St. The Lions Club is prominent in the town, although somebody's not cleared their cache whilst webmastering, perhaps leading to them seeing images where there are none for the rest of us. A Leisure centre result points to the gym & swimming pool again, although the Squash club comes up aswell, down Hemingby Lane. Apart from the Medical Group, already mentioned, quite a few must be looking for details of the Music Shop on the corner of the Bullring ( 01507 526566 ), who can order CD's, DVD's, gifts and instruments etc.. No doubt Map will become less of a Googled term as more and more people own a smart phone. The Market I go into detail with the shopping & traders post. Memories are perhaps best searched for on Google images, although the Facebook page for 'Sweet Memories' sweet shop is around (see Kids album). M.O.T. 's can be had at the tyre docks and garages hi-lited in the A158/A153 post. After many search terms for the Horncastle New's internal menu and site-links (see previous), Nursing Home is found searched for, Tanglewood being the main one in the town, with more in the surrounding Wolds. The NFU are active in the Town offering benefits to members and insurance. 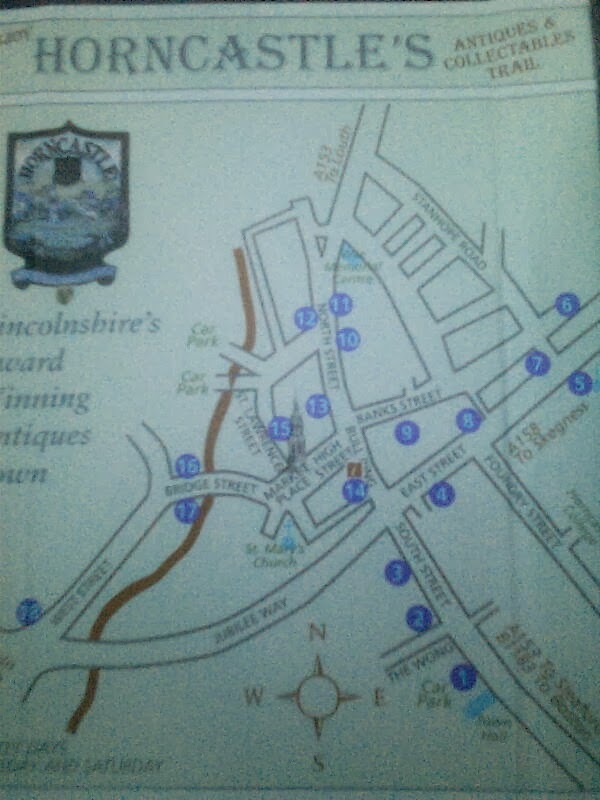 is for Opticians, and the two in Horncastle are spotted well by Google Places. Outdoor Clothing is a natural search for the Lincolnshire Wolds, but there's probably only Tally Ho on the High St (in the Other Shops album). Tayberry still have a web & Industrial Estate prescence, whilst Military & Outdoor are found amongst the Market Traders in the Horncastle Bargains post. For the Old Nicks Tavern, see the Pubs, Bars & Restaurants post, whilst the Otters Swimming Club is back to the Swimming Pool link above for up to date information. The Ostrich Farm I mention in the History post, whilst Old Hat Guitars on East St., is in the antiques post and Other Shops Album. The local Police station I mention in the A153/A158 post. The Primary school is previously mentioned, above. The Post Code is LN9 for the local area, with LN9 5JQ for the Post Office on the market : ( 01507 523520 ), 9-5.30 weekdays & 12.30 Sat. . There's two Pet shops in the town, one up the Old Fleece Court behind Kerfuffle at the bottom of North St.; the other at the top of North St in the Mill Lane triangle. After QEGS, the next search for term is the old Fasttoys Quadbikes dealer. Of the first two searches under 'R', one is for a London Roofing company, whilst long term Road Works or Traffic problems are best listened to via BBC Radio Lincs or Lincs FM. Horncastle Recruitment ply their trade from the Industrial Estate, whilst the Rugby Club struggle on at the Coronation playing fields. The Restaurants are covered in their own post, whilst the Registry Office is found up Foundry street. Rentals are best found in the local paper, as the more expensive ones are to be found through Agency websites, whilst classified ads tend to carry the inexpensive experienced landlords and ladies. I've a couple of interesting links to sites on Horncastle and the Railway in the links section. The Swimming pool and it's timetable much searched for - it's probably worth a phonecall via the link above, if you're not confident of the Council pdf's on their site. Shops are covered here in the Antique's post, Other Shops photo album and Bargain shopping post. The search for Surgery is the same as for Doctors and Dentists, and inevitably leads to the Medical Group link above. Social Services are just about found, so perhaps it's better to search for a department or type of care. . The main senior Schools after QEGS are the secondary Banovallum School and the Special St Lawrence School. Tiles comes top of the T's, with their sites linked to above. The Haltham Taxies are linked to in the A158/A153 post. Horncastle Town FC are in the attractions post, while the Town Council, Theatre and Tennis club are in the links section. The free local paper, The Target, is as illusive as ever - finding who owns it and a website presently impossible. Transition Horncastle an unsearched for term, showing it's an unknown as regards the people of Horncastle. I didn't think there would be many searches or sites down here - the U3A website designed for older folks to keep active. Pizza Uno off the west side of the market has a place page filled in on the Google search. The two Veterinary surgeries come up well in a search, with nothing defunct or mis-leading hanging around in the results. Van Hire used to be found on the Industrial Estate, and seems to be in a state of flux; a couple of Service stations currently advertising. The Viking Way mentioned in the history post as it cuts it's way through the town, and Vintage guitars looking for Old Hat mentioned previously. The new Co-Op on the High St took the place of the Victory Cinema, named after the Crimean War and siege of Sevastopol in 1855. Walks are one of those searches now that has several good results, and they're linked to around this site too. The Women's Institute website in the links section relatively new and already a top Google suggestion, showing the continuing uptake of the internet. For Weather I'd direct you to my page for a choice. The Workhouse still remembered by many former folks actively searching it. The What's-On link in the sidebar is the main result for such a search - although the Theatres have up and coming attractions posted to their sites. seems to be entirely for Xmas and the market - so you're back to the Festivals website above. The Youth club and centre coming up top search for this penultimate letter, with Yoga close behind (and linked to in the attractions post). Neither the Young Farmers or the Young Offenders with a website presently. Zumba classes the most searched for, and again, in a state of flux with nothing concrete to link to permanently.